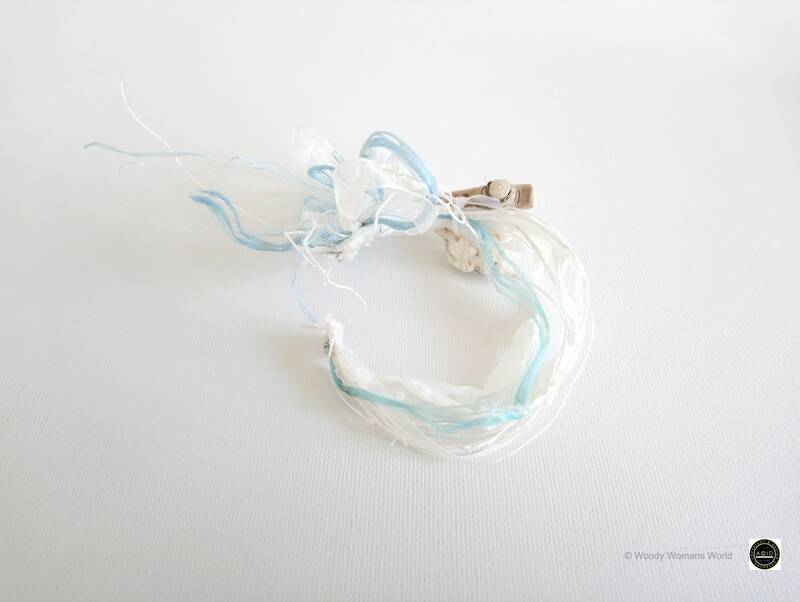 Various colour tie around in various materials available. 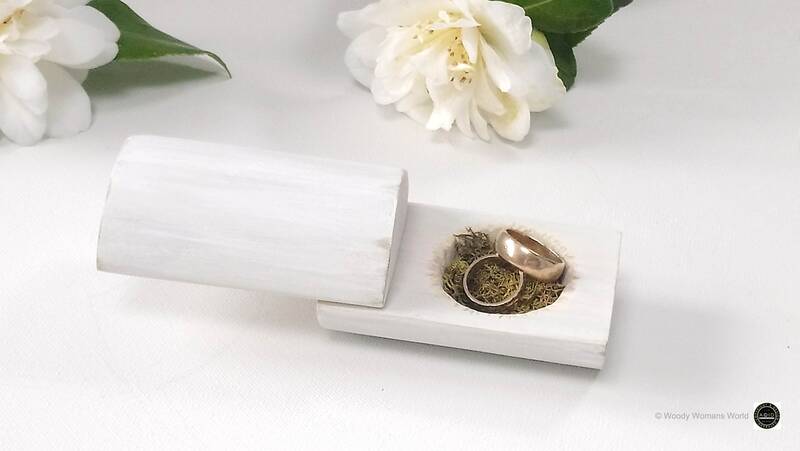 These ring boxes are a lovely addition to any themed wedding or an unique gift for the person you love and for those who love the beauty of nature. Suitable for most dainty jewellery. If you require your box personalised kindly send me a message to confirm your details and select any colour you wish to have. If you require a colour not listed kindly message me. 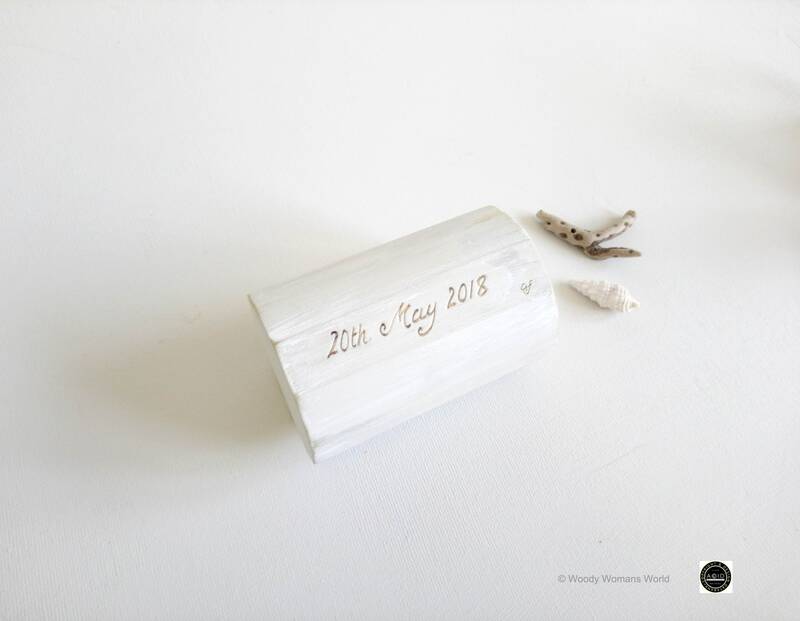 Initials is normally inscribed on the top and date will be inscribed under the box. 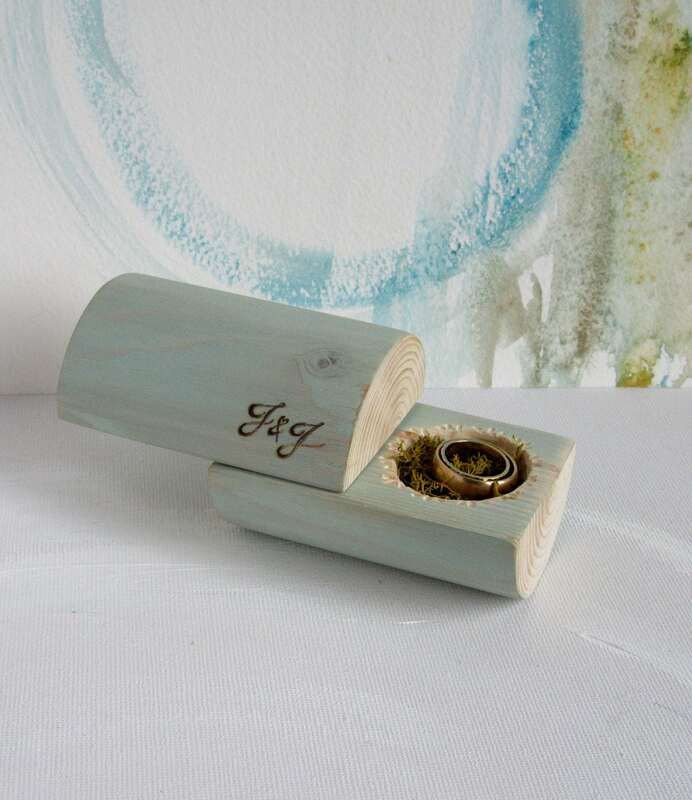 The ring box is hand painted and lightly waxed for a soft finish. 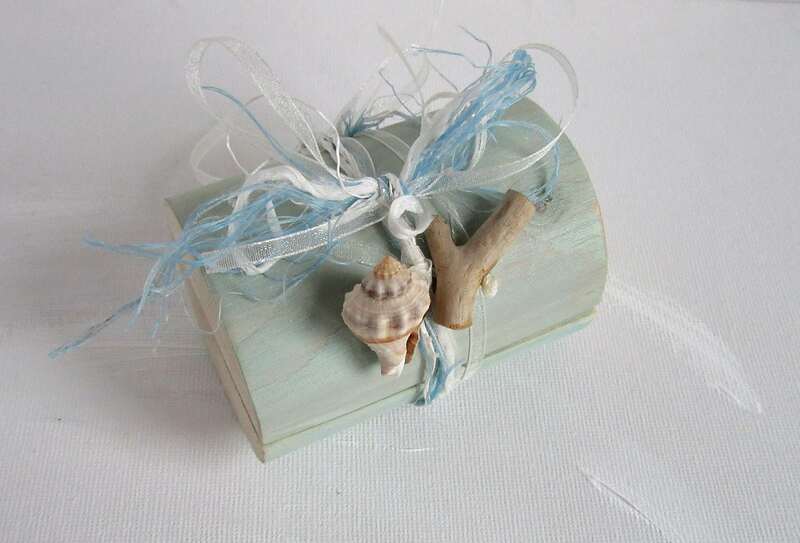 They have swivel tops with natural driftwood and shells tied with drifted blue twine, white or natural depending on your wishes. 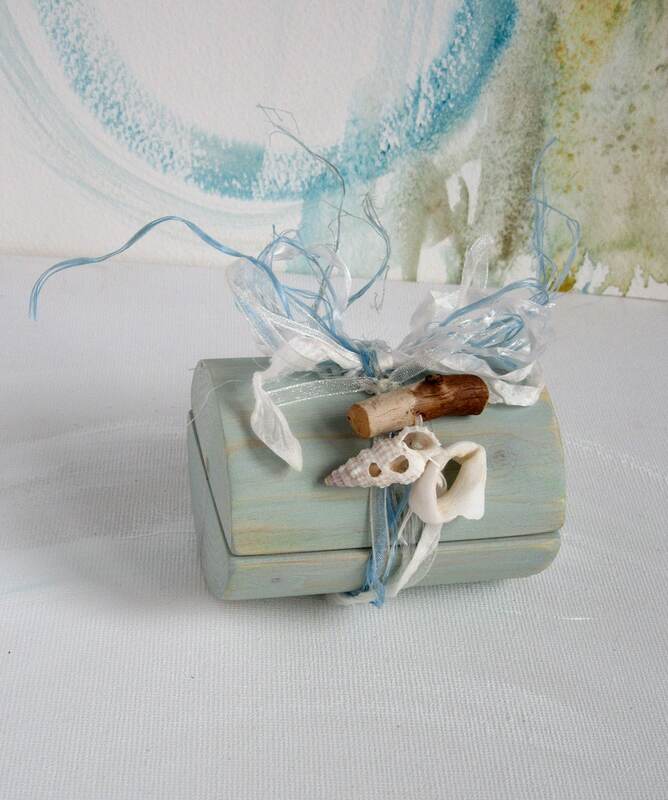 The actual box is made from reclaimed wood and sits comfortably with the shell and driftwood. 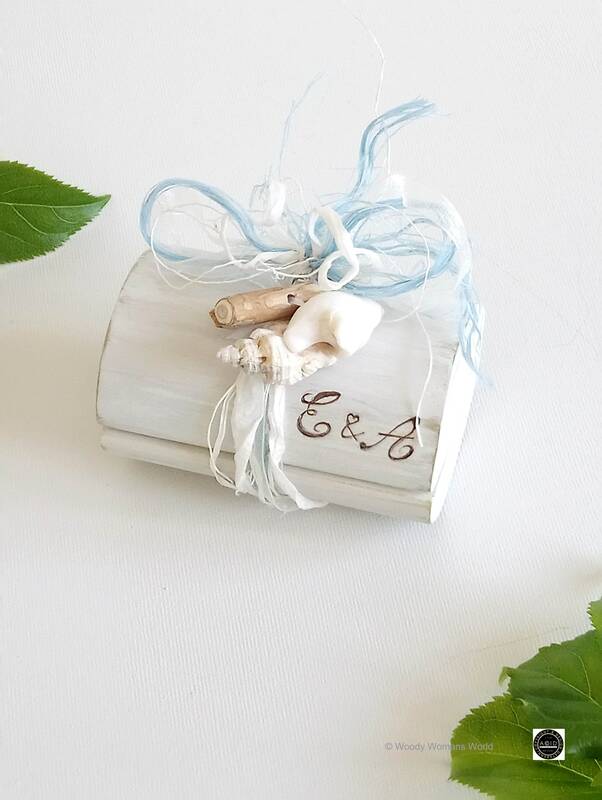 Each box will have its own lovely unique character as nature intended and the grain of wood, shell and driftwood will vary. 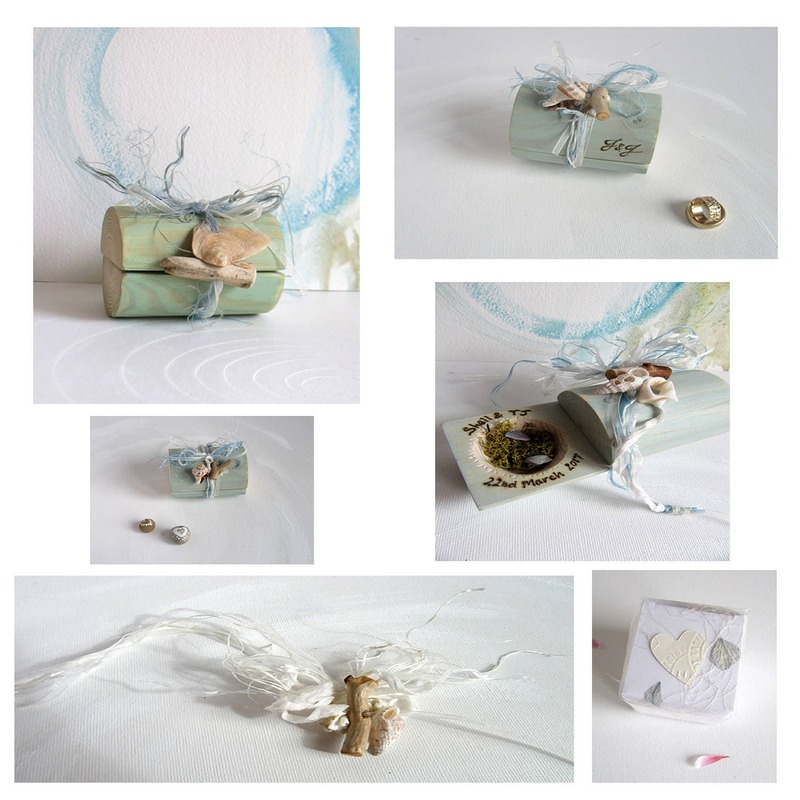 The bow and tie around the box is made from drifted twine sourced from the beach along with recycled silk and other textile elements. To place around the box is simple. It has has a little discrete popper for easy attachment around the box. The bow is already secured to the main part of the tie around. 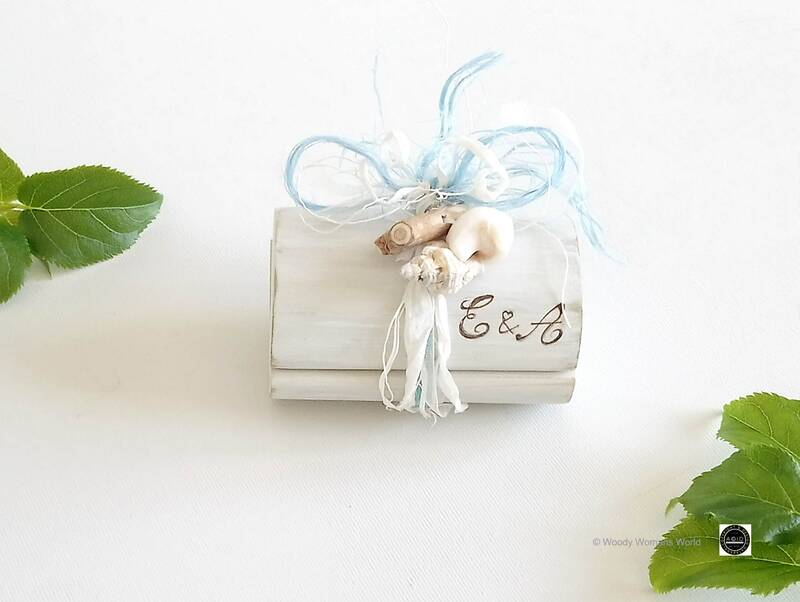 Your box will made to your wishes so please feel free to chat and an image sent for your thoughts before dispatch. If you require a LARGER ring space or larger box just convo me. The listed colour is blue and white.